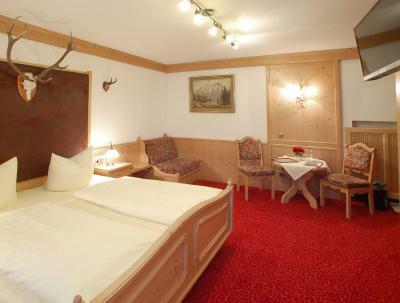 Lock in a great price for Hotel - Gasthof Gebirgshäusl – rated 8.2 by recent guests! The staff was very nice to help me cancel a night at a mountain hut. My German isn’t great beyond pleasantries and requesting basic services, and the owner’s English was non-existent (other staff speaks English, but not there then). Everything is in order. Cozy room, friendly owner, nice service, and tasty breakfast. Must try the food in the restaurant, yummy!! Great location and very friendly and professional staff. Beds are comfy and the rooms are clean and well equiped. The breakfast buffet was great. 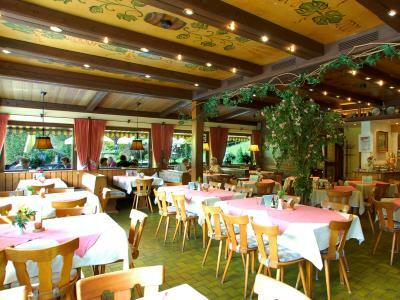 The staff were excellent, and the restaurant was absolutely fantastic. Free parking directly in front of the hotel, the location is perfect to use as a base for exploring the area. Good breakfast, good location, nice restaurant Wifi worked for me. We were lucky that our room was quiet enough but probably in other rooms it could be more noisy since sound isolation was poor. Fortunately, our room was absolutely quiet. Staff are pleasant and responsive. Breakfast was brilliant! Very friendly staff. 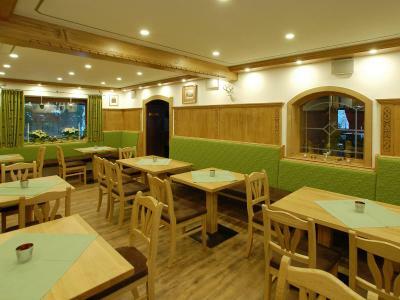 Cosy restaurant (inside and outside). Close to Berchtesgaden (by bus or car). 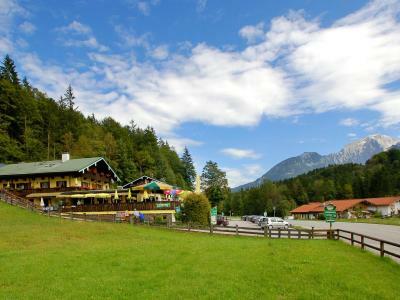 One of our top picks in Bischofswiesen.This small, family-run guest house in Bischofswiesen is surrounded by the scenic Berchtesgaden Alps. 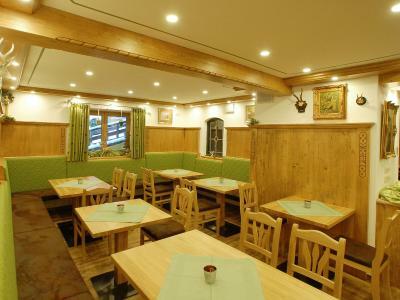 It offers country-style rooms and apartments and traditional Bavarian food. Free WiFi is available in communal areas. 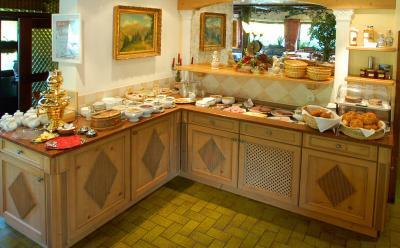 The nonsmoking Hotel -Gasthof Gebirgshäusl serves a breakfast buffet, local dishes, and homemade cakes every day. Guests can dine on the terrace in good weather. 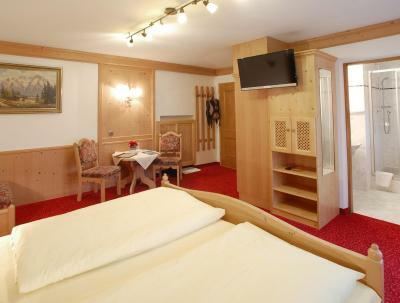 All of the rooms and apartments at the Gebirgshäusl feature light wooden furniture and satellite TV. Some have a balcony. 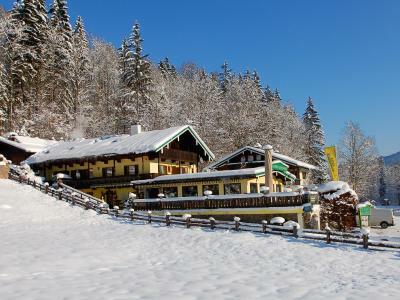 The Gebirgshäusl’s wellness facilities can be found in the side building. A shared washing machine and dryer are also located there. 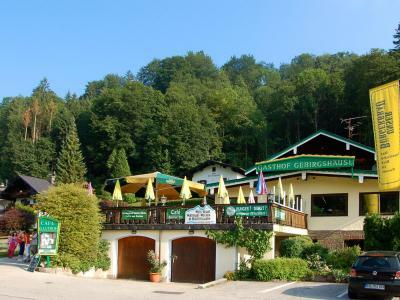 The Hotel-Gasthof Gebirgshäusl is a great base for trips to Munich and Salzburg. 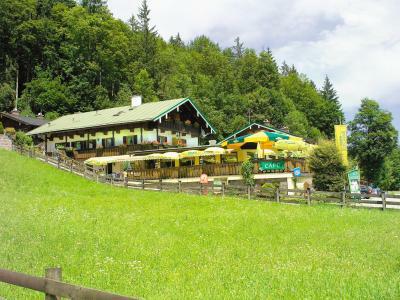 Popular acitivites in the Bischofswiesen area include skiing, mountain biking, and hiking. 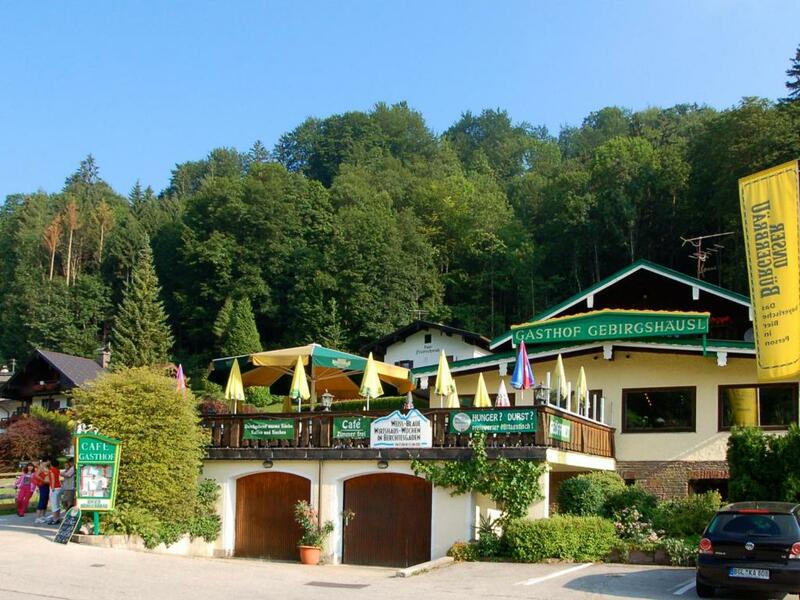 When would you like to stay at Hotel - Gasthof Gebirgshäusl? This cozy and modern double room is located below ground and features a spacious bathroom. These rooms are on the 1st and 2nd floor, either in the guest house or the building next to it. All have a safe. This room offers extra space and a relaxing sitting area. The family room have a double bed and a sofa bed. Also includes a TV, radio, shower. Some have a balcony. Children up to the age of 15 stay for free. Features 4 bedrooms, 3 bathrooms, a living room, kitchen, dining room and barbecue area. House Rules Hotel - Gasthof Gebirgshäusl takes special requests – add in the next step! Hotel - Gasthof Gebirgshäusl accepts these cards and reserves the right to temporarily hold an amount prior to arrival. Please note that the restaurant is closed on Mondays (breakfast will still be served). Please note that the rooms could be located in the annex, 1,000 feet from the main building. This also means that there is a high chance of having an upgrade. Please note that the wireless internet connection could be slow at times. the transportation is very inconvenience unless you rent a car. Bus service only till 6pm and if you go far and return at night, you have to take taxi. And , not all buses could reach some important sight seeing point. Take note on it. Though there is a card with deposit for free bus service but in your last day, you couldn't enjoy it , and if you check -in late, also couldn't enjoy it. Traffic is very inconvenience. Not much local will give you a ride indeed. So you must catch the bus but the schedule of the bus is not very clear. There are two station in 5 mins distance to the same destination! Sent us a message saying we were to be in an apartment (3 night stay) and when we got there they put us in a std bedroom. When we asked they just shrugged and said they must have sent the wrong message. No apologies. Food is typical of the area and hearty. 3G telephone singal is poor, we have problem while we connected wifi device. Our room was unfortunately not very well noise isolated. Exellent in-house restaurant! The crispy pork leg was the best one I ever have. Good picturesque alpine location and convenient transportation.